FDA advisers are set to make recommendations on Novartis’ groundbreaking CAR-T therapy CTL019 tomorrow – and are set to focus on safety concerns in the decisive meeting. The Oncologic Drugs Advisory Committee (ODAC) is meeting to discuss Novartis’ CTL019 chimeric antigen receptor T-cell (CAR-T) therapy – where a patient’s own T-cells are harvested and genetically altered to attack cancer cells. Like all the FDA’s advisory committees, ODAC recommendations are not binding, but the regulator usually follows their lead when making decisions on drugs. Kite Pharma also has its rival CAR-T filed with the FDA, but Novartis’ candidate is being reviewed first, giving it a definite edge in the race to be first to market. 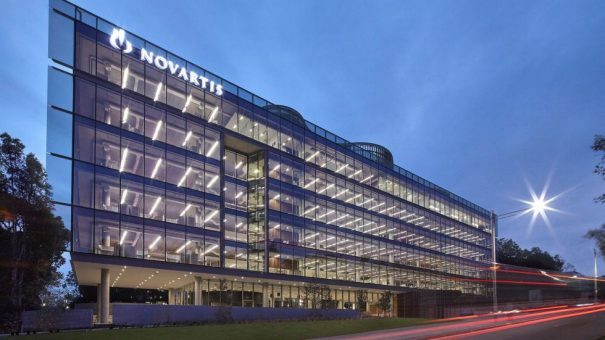 Novartis has filed CTL019, also known as tisagenlecleucel for treatment of relapsed or refractory B-cell acute lymphoblastic leukaemia in patients aged 3-25, using phase 2 data. In a review document ahead of the meeting, the FDA noted efficacy data showing a 52 out of 63 patients were in remission after a single infusion. FDA staff reviewers said the overall effectiveness of the product is not the “primary issue” for the committee to consider. Instead the reviewers pointed towards the short-term and potential long-term safety issues identified in clinical development. These include the potentially life threatening cytokine release syndrome (CRS) where over-stimulation of the immune system causes a torrent of proteins attack the patient’s own body. However Novartis’ CTL019 has the best safety record in clinical trials of any of the CAR-T candidates, with no death from CRS. However there were neurological events, coagulation, and life-threatening infections, and serious grade 3 or 4 CRS occurred in 32 patients. A string of patient deaths from cerebral oedema prompted rival CAR-T developer Juno to abandon its lead product last year, and switch to developing another therapy further down the pipeline. Even close rival Kite Pharma has seen one death in its trial, a patient dying from the same cerebral oedema as seen in the Juno trial, a fact which will add even further scrutiny once its candidate KTE-C19 comes up for review. The FDA also noted the possibility of haemophagocytic lymphohistiocytosis (HLH) – a condition where macrophage white blood cells become overactive and attack the patient’s own body. Aside from the CRS issue, the FDA is concerned about the potential for the treatment to generate retroviruses that could lead to new cancers. Because the CAR-T cell is genetically altered using a virus containing modified sequences from HIV-1, there are concerns that the treatment could lead to formation of new retroviruses capable of replicating that could cause new cancers. These retroviruses could disrupt tumour suppressing genes, inadvertently activate cancer-causing genes in the host, or cause the patient’s genome to become unstable. Although there are several safety features to prevent this, the FDA wants assurances that none of these so-called replication competent retroviruses are present in CTL019 batches. The ODAC will consider a safety monitoring scheme proposed by Novartis evaluating adverse events, and presence of retroviruses.